A campaign in Scotland aims to tackle drink driving after a marked increase in the number of motorists caught over the limit last year. The latest drink drive campaign from the Scottish Government, which runs through the festive period until 2 January, promotes the key message that "Best is none". The aim is to encourage revellers not to drink at all if they plan to drive, but to stick to soft drinks or mocktails – or, if they do drink alcohol, to take a taxi. The campaign, which is being run in conjunction with Road Safety Scotland, part of Transport Scotland, and the Scottish Government’s transport agency, supports Police Scotland’s drive to crack down on drink driving in December. A Scottish Government spokesperson said: "Our festive drink drive campaign… aims to encourage festive partygoers to adopt a 'Best is none' approach to drink driving, particularly targeting 26-35 year olds. "The campaign will run across radio and digital channels, supported by PR, partnerships and local press platforms. "Beyond 'Best is none', the key messages focus on the chances of getting caught and the legal consequences of drink driving." 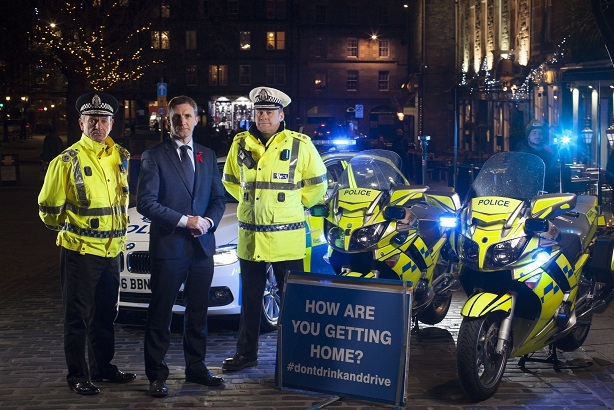 The campaign will be under particular scrutiny this year after an increase in the number of motorists in Scotland caught drink driving during the 2016 festive campaign. Statistics released by Police Scotland in January 2017 revealed that one in 30 drivers stopped over the festive season were over the legal limit at the wheel – up from one in 36 during the Christmas 2015 campaign. This year's campaign launched on 1 December, with a live press call with senior police and the Scottish Government’s Cabinet Secretary for Justice, Michael Matheson. Press coverage has included stories in The Scotsman and Aberdeen Evening Express newspapers, while further PR activity includes social-media content on Twitter and Facebook, using the hashtag #DontRiskIt. A key element of this year’s campaign is the use of case studies showing the consequences of drink driving. Two videos have been created telling the real-life story of Angela McShane, who lost part of her leg and spent 10 years recovering after being hit by a drunk driver. Launched on social media on Monday (4 December), the 30-second and 1' 45"-long videos aim to improve knowledge about drink driving and contribute to an overall reduction in drink drive-related casualties across Scotland. The campaign will target all drivers, but a key focus is male drivers aged 26-35. This group accounts for the majority of drivers under the influence of alcohol or drugs who are involved in collisions resulting in injury, according to the Scottish Government. The campaign will emphasise that being caught even slightly over the limit will lead to a minimum 12-month driving ban, a criminal record for a lengthy period of time and a substantial fine. A dedicated website outlines the ‘Best approach is none’ messaging, and the Scottish legal limit of 50mg per 100ml of blood. Introduced in 2014, this is significantly lower than the 80mg limit elsewhere in the UK. 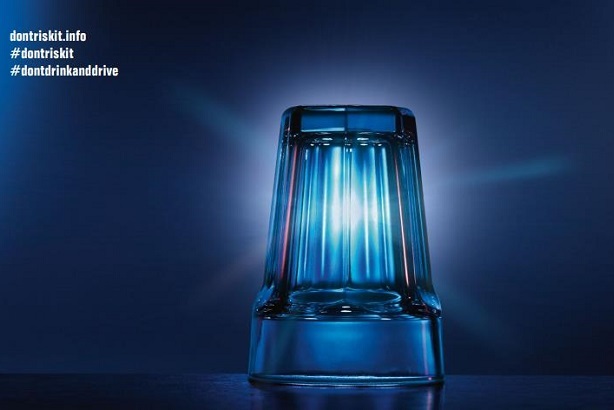 The campaign – which is being run by agency Smarts Communicate – will be evaluated using Police Scotland statistics and Road Safety Scotland’s bespoke tracking study RITS: Driver Attitudes and Behaviour. Other campaign metrics include PR coverage, website traffic, media and social-media reach, and engagement and stakeholder engagement.